Building Surveying inc. carrying out condition and measured surveys of buildings, investigating faults and problem solving. 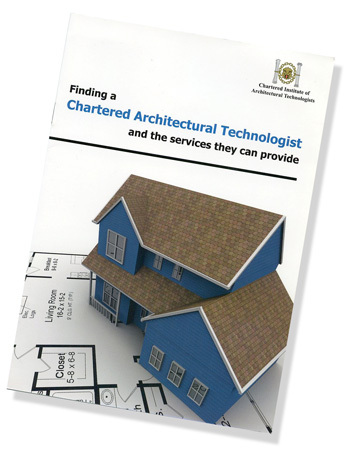 Technical Advice inc. providing considered technical advice on construction techniques and sustainable construction methods. Interior Design inc. preparing drawings and specifications for interior alterations, interior design schemes, mood boards and product sourcing. Project preparation and feasibility studies. Meeting with the client and discussing the design brief, budget and timescale. Advising on the need for independent consultants. Giving guidance on possible types of contract and tender. Evaluating and advising upon environmental and statutory requirements affecting the project. Preparing tentative proposals for discussion and development with the client. Preliminary discussions with authorities and consultants. Researching problems and producing, developing and advising upon innovative design solutions. Preparing final scheme drawings and details. Managing and co-ordinating the design team and associated professional consultants. Producing, managing, controlling and integrating design and production information. Producing, analysing and advising upon specification, materials selection and detailed design solutions in relation to performance and production criteria. Submission under the Building Acts, Regulations and other statutory requirements. Proceeding with production information, drawings, schedules and specifications suitable for tender purposes. Leading the detailed design process and co-ordinating the detailed design information. Considering offers received and making recommendations to the client. Preparing contract documents as necessary and arranging for their execution. Giving instructions to appointed contractors on behalf of the client. Inspecting work in progress from time to time to determine whether the contractor is fulfilling his obligations under the contract. Carrying out other administrative duties entailed. Certifying interim applications for payment on account of work properly carried out. Considering and agreeing the final certificate of payment under the contract. Management and co-ordination of associated professionals. Support information to the cost plan. Ensuring the construction meets the design and statutory requirements. Supplying the client with a set of as built drawings, service drawings and maintenance manual. Gaining feedback from and de-briefing client and user (if different). Appraisal of building performance in use and producing, developing and maintaining maintenance management information systems. Evaluating and advising upon refubishment, repair, reuse, recycling and deconstruction of buildings.